Turn the lights out because we’re going vice this April! The night scene in Singapore is thriving with lots of activities and if you’re unsure of what to do during your weekend nights, then you’ve come to the right place. From your favourite go-to spots like Zouk and new spaces like the highly raved Marquee Singapore, it’s time to get on your dancing shoes and party your night away! The hottest nightclub is finally opening its doors and we’re all just as excited to see its unveiling this weekend! 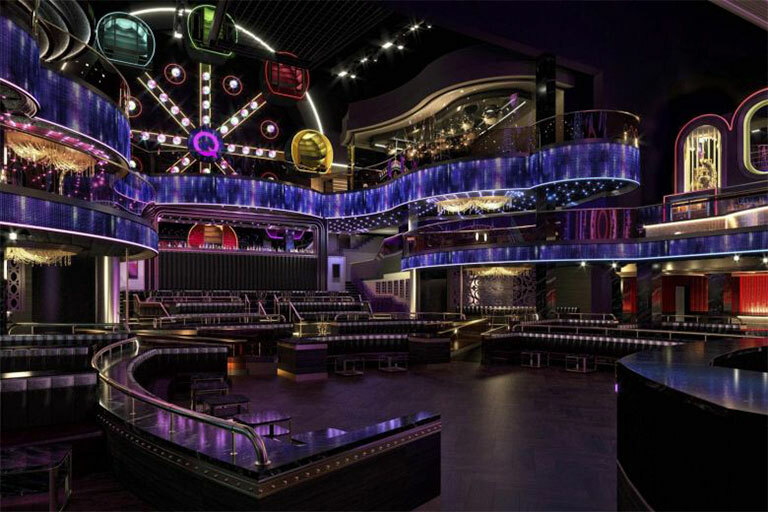 Marquee Singapore is a multi-concept dining and entertainment venue that features three different floors (and a life-sized Ferris Wheel) — pulling out all the stops when it comes to throwing lavish parties. During the month of its opening, critically acclaimed DJs like — Tiesto, Afrojack, Above & Beyond, Steve Aoki, Kaskade, and Showtek — are set to rule the stage in celebration of Marquee’s long-awaited debut into the night scene in Singapore. PS. we heard from a little blue bird that A$AP Rocky’s making a special guest appearance on its opening night, this April 13th too! Get your tickets and find out more on Marquee Singapore’s website. Has it already been two years? 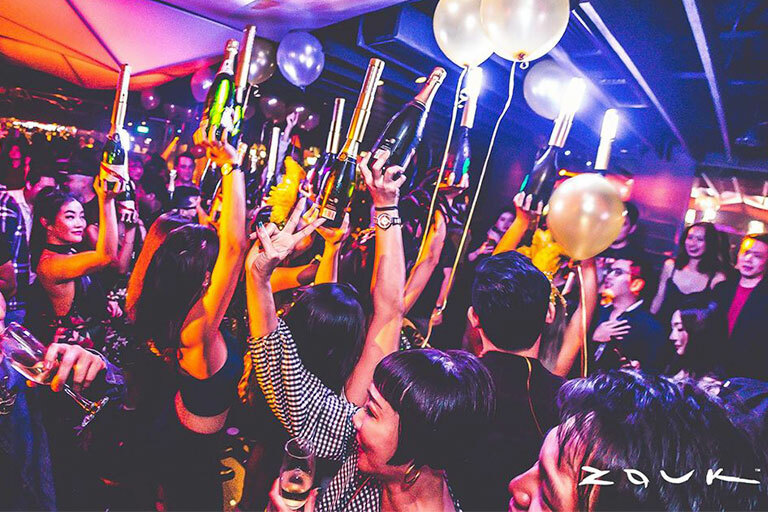 Zouk Capital may be still new for some but for many night owls, it’s their second home. Can you relate? Whatever the case is, Capital is having their second anniversary and if you’re up for a good night, to get on your feet and dance to the beat, then you can expect nothing less from what Capital has in-store for you that weekend. A sultry night centred around the idea of a Pleasure Parlour, titillate your senses and indulge in late-night tipples by the bar at Capital for an unforgettable night like no other (or at least a night we hope you’ll remember). Party the night away with Christina Novelli on April 18th, or catch Lincey & Nash D hitting the decks with back-to-back smash hits from the 90s and 00’s on April 19th. It doesn’t end there — if you’re going hard that weekend, Capital’s got you covered with another night on April 20th featuring DJ Sura with LeNERD and MC Hund for a set filled with your favourite hip-hop and EDM tunes. Find out more on Zouk Singapore’s website. Skechers Sundown Festival is back this year and it’s bigger and better than before! 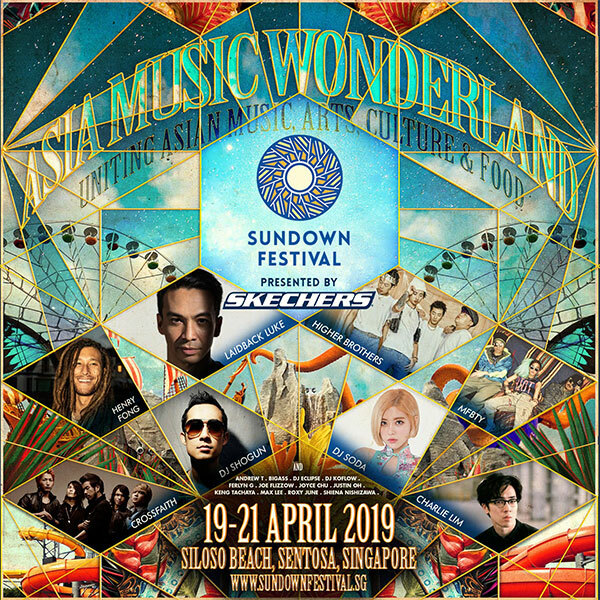 Held at Siloso Beach Resort, the festival will feature art installations, film screenings, food markets and… more than 50 music artists that are all scheduled to perform over the span of three days! From 19th to 21st April, the event is set to hold performances by 88rising’s Higher Brothers, Korean boy group, iKon, and other homegrown favourites like Charlie Lim. Check out the other performing acts and get your tickets on the website. 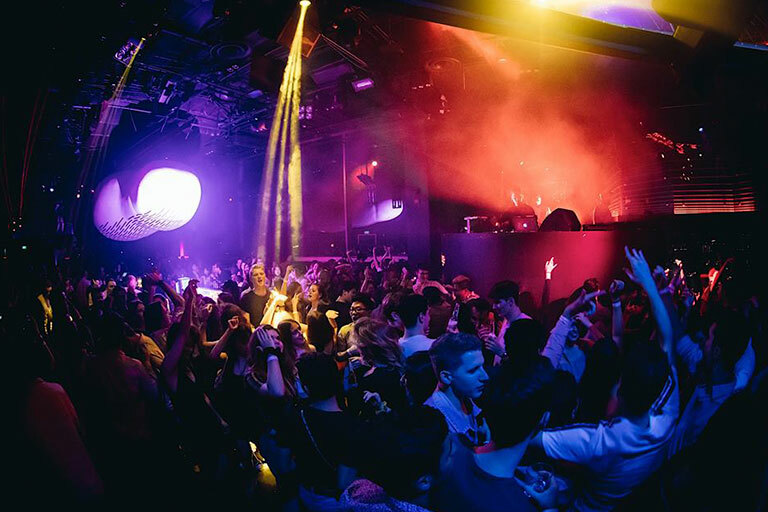 If you’ve been to Zouk’s main room during the last couple of months, then you’d know that majority of the time, they’re playing Hard Style tracks — which explains the rise in the number of people muzzing on the dancefloor. But if you’re one who prefers hip-hop and R&B rather than the latter, then this event might just pique your interest. In celebration of the influence that hip-hop culture across Asia, Yo! 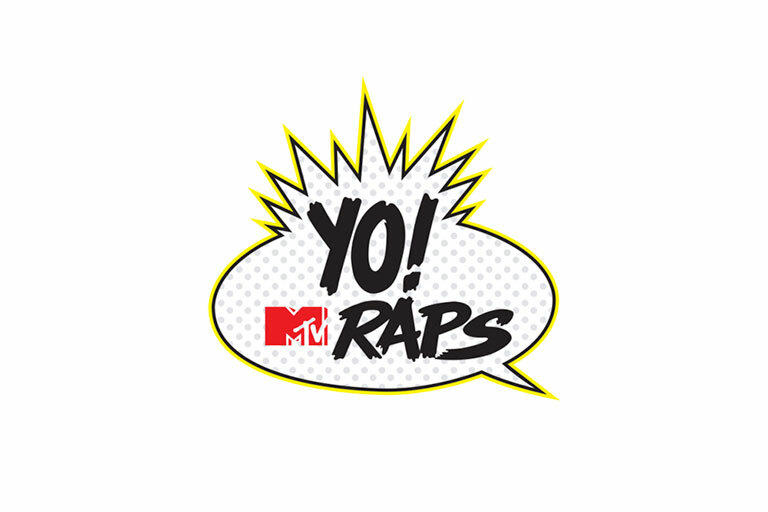 MTV Raps Asia will feature some of the biggest names in hip-hop as well as up-and-rising talents, with the likes of Yung Raja, Kim Lee, Nash D and more to take centre stage at Zouk. Besides, the event’s held on a Wednesday night, so if you’re planning a ladies night out or if you’re just looking for a place to get turnt, then you know where to go. Eatmepoptart’s bringing it back this month with their sweet selection of tunes to Phuture! Get your monthly fix of alternative rock, electro, indie, pop and punk this April at Zouk and bring your groove along as you dance the night away. Resident DJs, weelikeme & KiDG will take to the decks, alongside DJ Hedger — that promises a pumped-up set that’s sure to keep you moving as you sing along with all your guilty pleasures. 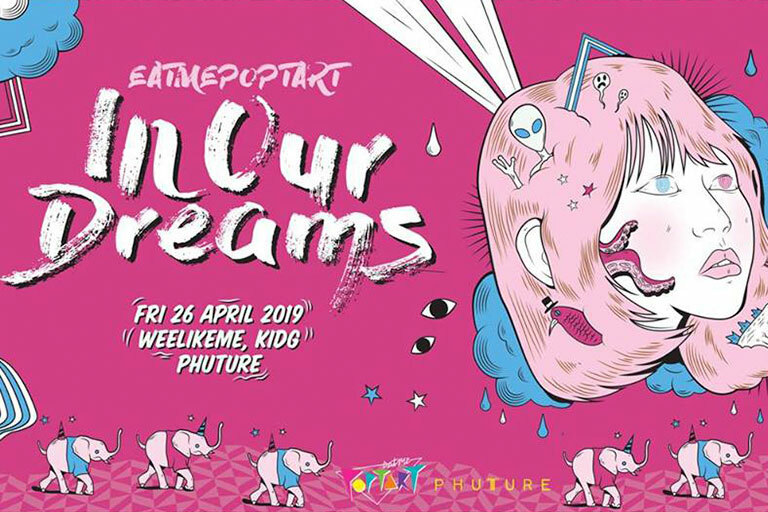 From international hit classics by Two Door Cinema Club to local favourites by Disco Hue, Eatmepoptart’s party is sure to be one that never disappoints. Find out more on Eatmepoptart’s Facebook page. Calling all baddies — come thruuuuu! Get bad and boujee with your buds here at Canvas this April. You heard that right! Ride the wave this weekend as you revel in a fully immersive experience with the sickest beats championed by some of the best-dressed crowds in town. If you identify yourself as a HypeBae or HypeBeast (or at least know of the terms that exist) then this party is totally your scene. (And yes, wearing your shades at this party might just be deemed acceptable — fashion over function, right? For more updates, check out Canvas Club’s Facebook page. Looking to blow off some steam after working hard through the week? Bar Rouge Singapore has got your fix. On April 27th, Australian producer, Throttle, is set to take you for a spin with his mix of dirty-disco tunes such as disco, jazz and hip-hop for a refreshing yet transformative set that you’ll never forget. Find out more about the event on Bar Rouge’s Facebook page.